Post written by Connie Diekman. Connie is a Nutrition Communications Consultant and Director of University Nutrition at Washington University in St. Louis, Missouri. Food labeling has been a conversation for several decades. Whether it’s about nutrition facts, the name of a product or how appealing one label looks over another, food labels are of interest to almost everyone. Lately the conversation around food labels has moved from name of the product, weight of the product and nutrition in that product to the question of whether foods be labeled with regards to presence of GMOs. As a Registered Dietitian, the topic of food labeling is one I deal with almost daily. 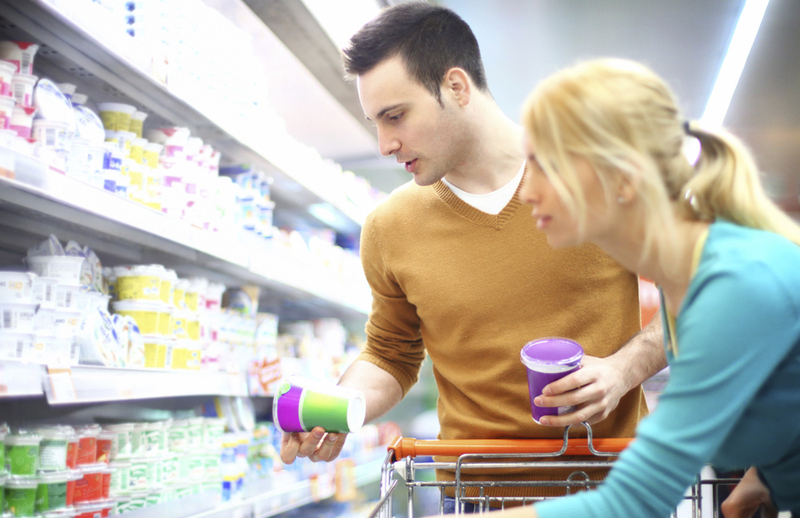 In working with college students, the food label is a valuable tool to help them decipher what they are eating, decide which product to purchase and learn what nutrition is provided in the food. While working with chefs, the food label is a guide to how one food might work in a recipe or how a variety of foods might combine for a new twist on a traditional dish. Now that the conversation about labeling has shifted to “natural,” “fresh” and the presence of “GMOs” not only has the conversation around the food label grown but the confusion has as well. I recently was an invited attendee at two conferences where speakers discussed the topic of food derived from genetically engineered plants (the Food and Drug Administration preferred term). The content of sessions at both conferences was different, but the topic of labeling came up in both discussions. Speakers presented information ranging from acceptance surveys conducted among consumers to what the FDA says about labeling. Currently the FDA, along with many other organizations, recognizes foods derived from genetically engineered plants as nutritionally comparable to foods that do not contain these ingredients. Therefore labeling of these foods does not need to differ from any other food, unless the food has an allergen. Secretary of Agriculture Thomas Vilsack has said, “When we require a label on something, we’re either warning there’s a potential safety problem or we’re giving nutritional information. GMO labeling doesn’t fit. There’s not a safety issue, and it doesn’t affect nutrition – it’s about the process through which food is created.” Requiring labels, he says, runs the risk of conveying ‘the intentional or unintentional message that this is unsafe or there’s some issue.’” (From article, “Want to Know if your food is Genetically Modified,” by Molly Ball in The Atlantic, May 14, 2014). Make your food choices based on taste, education and understanding. If you do those three things, I think you will find that reading food labels is easier and choosing to eat what you enjoy makes your dining experience pleasurable.